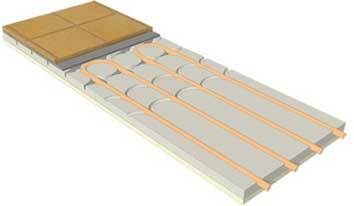 Plants heating and cooling floor, ensure a high level of comfort with a considerable energy saving. 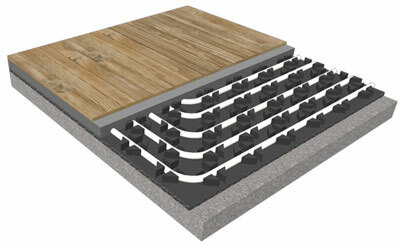 The radiating elements, constituted by tubes in material resistant to high temperatures and tread, are inserted under the floor. The plant is thus invisible to all aesthetic advantage and allowing a better use of space. The transmission of heat takes place mainly by radiation and not by convection (as in the case of the radiators). In this way you avoid annoying movements of air and dust and the heat is distributed more evenly. 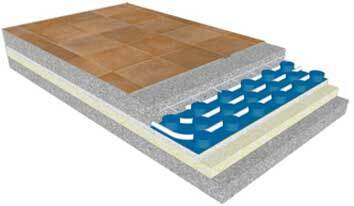 Radiant floor system with preshaped insulating panel for easy installation of the pipe. 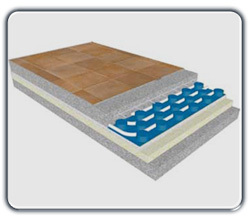 Suitable for applications with traditional screed, it is ideal for heating and cooling. 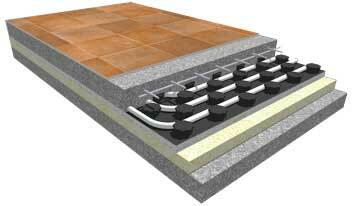 Radiant system with lowered panels and low thermal inertia. Simple to install and low costs. 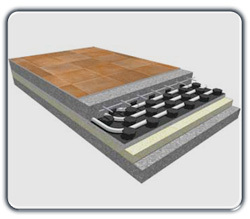 System for the realization of radiant floors with reduced thickness and low thermal inertia. 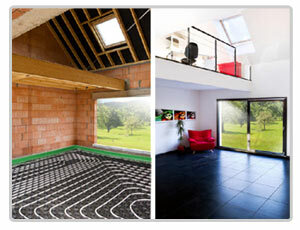 How much does underfloor heating? The higher the building and greater dispersion will be spending for the material to be installed (pipe and insulation thickness). So a good insulation of the building ensures both a saving in consumption on heating, a saving in the plant. 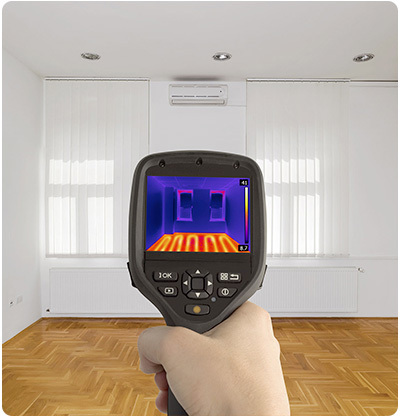 Use our estimate calculator automatically to get the price of your radiant system.